Home / Book Cover photography / God Bless the American Way….but maybe not their tax bit. 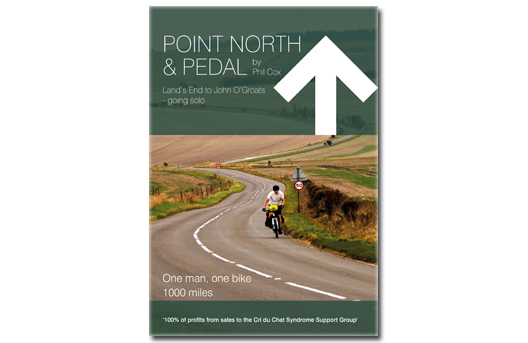 I have recently been looking at getting Point North & Pedal published as an e-book; this has been an interesting exercise in researching a topic I know nothing about. Amazon’s help pages and FAQ’s are good although the process is quite convoluted, especially the tax situation with the United States. My manuscript is currently being formatted as a ‘zipped HTML’ file which, apparently, Amazon prefers for Kindle. I have set up a Kindle Direct Publishing account with Amazon and provided various bank details and international payment reference numbers provided by my bank. Obviously all in preparation for the huge amount of royalties that will wing their way to my modest little bank account. In addition to this I have created a JPEG cover for the book and a TIFF product image (the picture that you see when browsing Amazon). The main barrier to actually publishing for Kindle is invoking the US Tax Treaty with the UK, to do this I need to apply for an Individual Taxpayer’s Identification Number (ITIN) from the US Internal Revenue Service. If I do nothing, Amazon is forced to pay 30% of my net royalties to the Federal Government. Amazon paying its taxes you say…a little unlikely but apparently they have to or they will be doing hard labour in pink shirts that say ‘I am cheating the social state and especially sub-prime mortgage victims’; this will require a big t-shirt but then everything is big in America. Completing the required W7 form is easy but the catch comes with providing suitable identification, in this case that would be my passport. To get the IRS reference number, I have a couple of options: send my passport to the IRS office in Texas with Form W7 or visit the US Embassy in London to have a copy of my passport certified before sending W7 to Texas. The IRS counter works on a first come, first served basis and opens a limited number of time per week. The main benefit of doing things this way is I get to keep my passport. Interestingly, I am not allowed to take any electronic devices (they must be stored off-site at a cost) and entry to the embassy is via and airport style security check with body scanners and probably huge Marines that have necks thicker than their heads. If they are tooled up I am not going to argue…. Assuming that everything is in order and I get seen before the office closes at 4pm I can send everything off to Texas. Unfortunately, it could be 3 months given the size of the IRS and also the fact that the Federal budget issue thing shut them down for a period of time recently. I have no idea of the length of the backlog but will maintain faith in their system; after all, this is the nation that landed men on the moon. Roll on publication date! God bless America! Please click the cover image for the Kindle version or click here to order a paperback copy. Thank you!